Exclusive batting times for individuals or groups! Variable Speed & Height controls for all cages!! 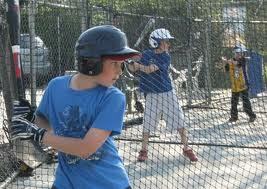 We have 4 cages that accomodate both softballs and baseballs. There are 4 speeds for baseball and slow and fast-pitch softball. 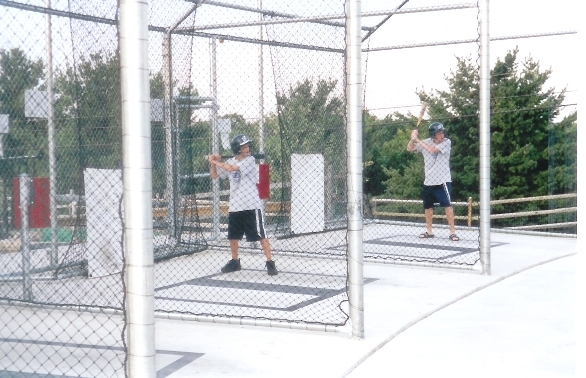 Each baseball cage has adjustable speed & height controls. We have exclusive rental times for 15, 30, or 60 minutes so you do not have to share a cage. You can reserve your time in advance via phone (302-674-8275) or rent as you visit. Call 302.674.8275 to schedule a cage rental. Enjoy your Batting without sharing the cage with anyone. Rent for as little as 15 minutes for only $8! Stop in or call to reserve your cage today.